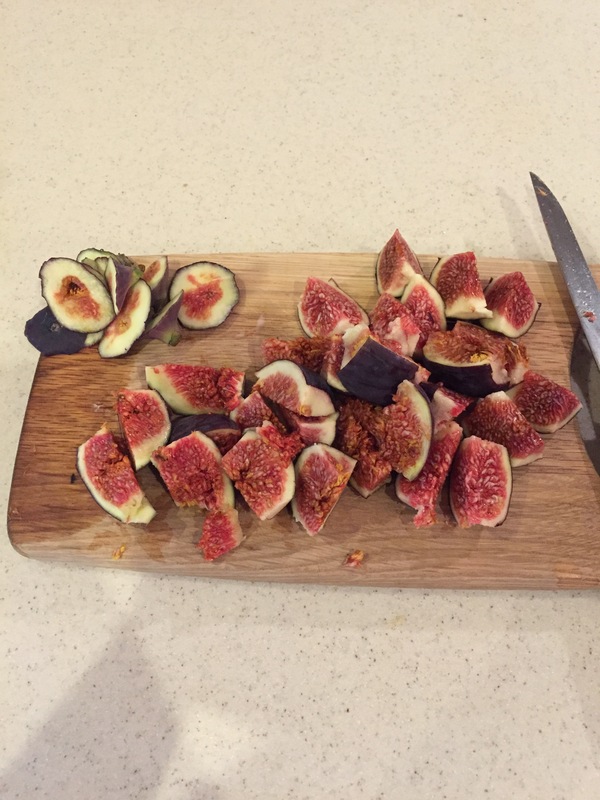 A few weeks ago our mum bought us a load of figs as they are in season at the moment, and we asked you via instagram what you thought we should make. Someone mentioned Fig Jam and so I took on the challenge. It was SO easy to make and goes perfectly with porridge, on toast….or even as a part of a more savoury dish with a bit of ham or cheese. Chop the little stalk at the top and bottom of the fig and cut into pieces. Blend the figs in a food processor. Add the chia seeds and coconut sugar and mix well. Put in a jar in the fridge and leave to set for a while….and then it’s ready!!! SO easy and delicious on toast, porridge or even with a cracker and cheese..